To achieve the professional look in sewing, it is absolutely essential to press as you sew. In addition to the iron and ironing board, it is helpful to have pressing cloths and a tailor’s ham. Fiber, texture and thickness of the fabric determines how the fabric is pressed. Fiber content dictates the temperature of the iron, and texture dictates the method of handling the fabric. The iron must be set at the right temperature for the fabric content. Always try a test swatch before pressing your garment. Press each piece and seam as the garment is constructed. Use pressing strokes – an up and down lifting motion of the iron. This avoids stretching or distorting sections of the garment. Steam can shape the fabric and eliminate fullness. To set creases and press permanent press fabrics, use a press cloth. Pressing the seams during the sewing process makes it easier to sew the seams that will “cross” any of the seams already sewn. Gently open the seams and press flat. You will save time if you sew several seams, then press them all at once, before moving on to the next step. Always press on the wrong side to guard against shine. Remember not to over-press. This results when too hot an iron is used, leaving the iron in one place too long, too much moisture or using an inadequate press cloth. Remove pins and basting stitches before pressing. Pins mar the fabric and soleplate of the iron; basting stitches may leave an imprint. When pressing the details of a garment, press the entire piece and not just the area around the dart, or particular detail you are working on. When the entire garment is finished, give it another pressing to get out any wrinkles that may have formed while you were sewing. **As a side note, did you know that if you press or iron when you’re angry, it will cause you to have a “heavy” hand and perhaps cause damage to some garments you’re ironing? Sooo, put a smile on your face and let’s get to work! 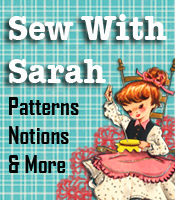 For additional sewing tips and tutorials, visit our SewWithSarah website. With the Holiday Season is upon us, we all tend to get a little bit “frazzled” with all the things that have to be done. I have found an excellent article that has already helped me with my Holiday baking and I think you’ll want to not only read the article, but print it and keep it in your recipe book for future reference!! This method of making your family favorites ahead of time on a day that you have a little extra time, will certainly be worth the extra effort. Not only during Holidays or big events, these “made ahead” cookies are great for desserts for drop-in company, treats for the children after school, etc. S. Denise Hoyle is author of the “Busy Person’s Cookbook” as seen on http://BusyPersonsCookbook.com. “We never have enough hours in the day, but everybody gets hungry.” “Busy Person’s Cookbook” is full of time saving recipes and hints for family meals as well as for parties. We all have disappointments and setbacks in our businesses. How we deal with them will actually tell the tale of how our business will survive. John Fortner, in his article, gives some outstanding things to think about, as well as to put into action regarding our home businesses. Disappointments follow success like fatigue replaces exertion. It is unavoidable. When the idea to create a home business first enters your mind, the goal for success becomes part of the vision. Along the journey you will face frustration, discouragement and disappointment before your efforts are rewarded. The key to fulfilling your dream is to not give up when failure arrives (and it will). Print out these 26 tips. Read them aloud EVERY day. Make them personal. Believe in them. Don’t let the disappointments of creating a work at home business get you down. Learn from them. Making money online can happen if you have the right mindset. After all, everything comes down to your perspective. Believe in your self and in what you can do. Consider the obstacles from every angle and aspect. Growth comes through learning. Dealing with disappointment requires the ability to learn, adjust and adapt. Don’t give up and don’t give in. Thomas Edison failed once, twice, more than thrice before he came up with his invention and perfected the incandescent light bulb. Make persistence your steering wheel. Enjoy. Work as if you don’t need money. Dance as if nobody’s watching. Love as if you never cried. Learn as if you’ll live forever. Enthusiasm takes place when people are happy. Family and friends are life’s greatest treasures. Don’t loose sight of them. Give more than what is enough. Success can come through the extra effort you exert in doing things. Hang on to your dreams. 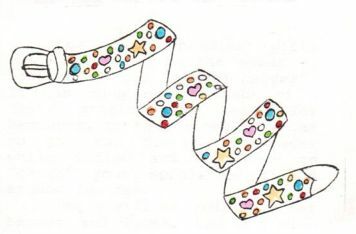 They may dangle for a moment but these little stars will be your driving force. Ignore those who try to destroy you. Don’t let other people get the best of you. Stay away from destructive people – the kind who hate to hear about your success. Just be yourself. The key to success is to be yourself and the key to failure is to try to please everyone. Keep trying no matter how hard it is. When a person stays motivated the road to success begins to materialize. Make things happen. Goals are reached when your dreams are put into work clothes. Never lie, cheat or steal. Always play a fair game. Open your eyes. Focus on how you want things to be and how they should be. Find the balance. Practice makes perfect. Persistence is about learning and discovering how we can recover from our mistakes. Quitters never win and winners never quit. So choose your fate: Are you going to be a quitter or a winner? Ready yourself. Success comes through preparation. Remember, it wasn’t raining when Noah built the ark. Stop procrastinating. Do! Don’t wait! Take control of your life. Self-discipline is linked with motivation. Both are key factors for facing disappointments. Understand others. Learn how to listen. Purpose to understand first and be understood second. Want it more than anything. Dreaming means believing. Believing means trying. Trying means pursing. Pursing means attaining. X-Factor is what can make the difference. Don’t allow the disappointments to bury you. Resolve to renew your effort. This will help you develop the “extras”. Extra time for family. Extra effort at work. Extra care for friends and so on. You are unique. No one in this world looks, acts, or talks like you. Value your life and embrace it. Zero in on your dreams and don’t allow the disappointments to create a detour.